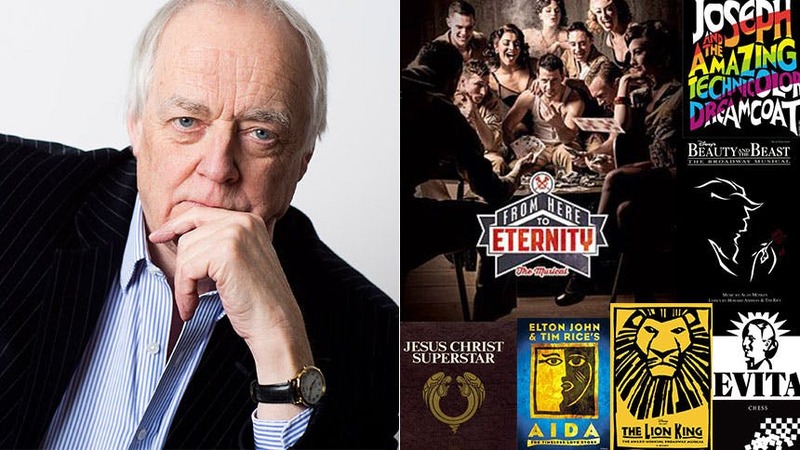 American audiences are about to experience a new musical from Oscar, Grammy, Golden Globe, Tony and Olivier Award winner Sir Tim Rice. The West End production of Rice’s From Here to Eternity, a stage show based on James Jones’ classic WW2 novel and the iconic Hollywood film about love and desire, will be broadcast in U.S. cinemas on October 2, 5 and 9. This is a must-see for musical theatre fans that missed the show’s engagement overseas. Below, BroadwayBox chats with Sir Tim about 10 landmark songs he wrote for the stage. From Here to Eternity: The Musical will be screened October 2, 5 and 9; click here for local listings.